This is a 1970 reprint edition by Unigraphic, Inc. 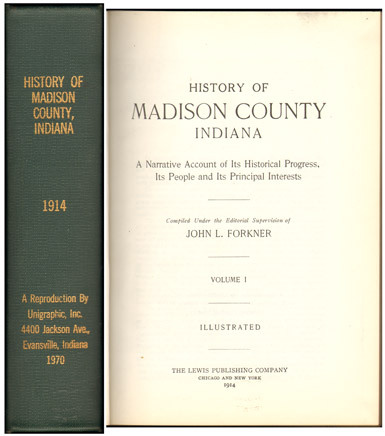 The original edition was printed in two volumes; this 1970 reprint includes all of both volumes in a single binding. Pages 1 to 359 is Volume I; pages 360 to 791 is Volume II. All of Volume II (pages 360 to 791) is family biographies. Name written on flyleaf. Cover and pages are very clean.